Welcome to my passion – I am a native born Cuban living and working in the United States for most of my life. I’ve been self employed in the entertainment and events industry in the Florida area for over 32 years. My companies specialize and focus on giving our patrons a fun, personalized, quality experience at atremendous value. From our concerts, to our musical cruises, to our yearly Jazz Weekend getaway in Daytona Beach, to our unique, intimate adventures in Cuba – be assured, our focus and that of District Cuba, our Intimate Cuba Adventures partners, is giving you and your family a safe, and unforgettable experience of a lifetime. WHY VISIT CUBA WITH US? Over the last 32 years in the entertainment and specialty travel industries I’ve developed a tremendous reputation for product value and top rated customer service. The Intimate Cuba Adventures project is very close to my heart. Rafael Saturio, owner of District Cuba, and I will be directly involved in the planning, sales, execution of every trip. I will be attending the Intimate Cuba Adventure tours to guarantee a truly memorable experience traveling the “forgotten Island” of Cuba. OUR BASIC INTIMATE CUBA PACKAGE – Traveling to Cuba is very much traveling back in time. I’ve created a basic five day/four night package that includes the important essentials of traveling safely and comfortably to my native Cuba. From obtaining your visas, to the 5 star private apartments and villas, to the Classic Cars and chauffeurs transporting you, our basic package includes the essentials you’ll need to have an amazing "people to people" experience in Havana, Cuba. Classic Car w/your own chauffeur, at your disposal 12 hours each day (9 am to 12 midnight). Group Dinner and Music at local Paladars (privately owned restaurant) the 3rd Night. Cell phone service for communicating with your tour guide. All gratuities included – extra tipping is at your discretion. Art Fair: Visit art fair to buy souvenirs and connect with Cuban entrepreneurs. La Casa del Son: La casa del son, learn Cuban Salsa, drink mojitos and practice your salsa moves with a group of professional dancers. Fortaleza de la Cabaña: You will be taken to Morro Castle to interact with local artisans and watch one of the most famous and ancient ceremonies of Havana, the cannon shot at precisely 9:00 pm. Plaza de la Revolución: See the grand monuments honoring Cuba’s immortalized national heroes. John Lennon Park: Wander to John Lennon Park and pay homage to the artist's bronze statue and the Beatles, described as a visionary by Castro himself. Sunset Classic car Tour + Malecón (convertible car) Chauffeur driven classic convertible down the Malecón, the longest promenade on the island and a social scene for Cubans. Callejón de Hammel: The Hamel Alley is one explosion of Cuban creativity, colors and Cuban Pop Art. Fabrica de Arte Cubano Fábrica de Arte Cubano is and old oil factory that’s now a thriving arts space in Vedado, one of Havana’s residential districts. There’s an art and photographic gallery and a dancing space, a cinema and a well-stocked bar. Perfect spot to meet and interact with locals. Scuba Diving in Playa Giron & Playa Larga Playa Girón is found on the Bay of Pigs, a bay with a famous name that it was a center of a conflict back in 1961 now being appreciated for its abundance of wildlife and history including a museum that is well worth a visit. This beautiful beaches are famous destinations with lovely hidden scuba diving sites, reefs and much more! Musical Tours - Coming Soon! One of the very reasons to visit Cuba with District Cuba and us is, we can tailor your Cuba Adventure to you desires. Enjoy Scuba Diving? We have Scuba diving tours! Love old architecture? We have guides specializing in the Havana’s historic architectural structures. You are passionate for music and dancing? Our team will customize dinning and nightlife tours to keep your Salsa dancing shoes going all night! A beach bum? We have crystal clear blue waters for you to soak your dreams in! When you call to book your intimate Cuba adventure please tell me which of your passions you would like to explore in the beautiful tropical majesty of Cuba! 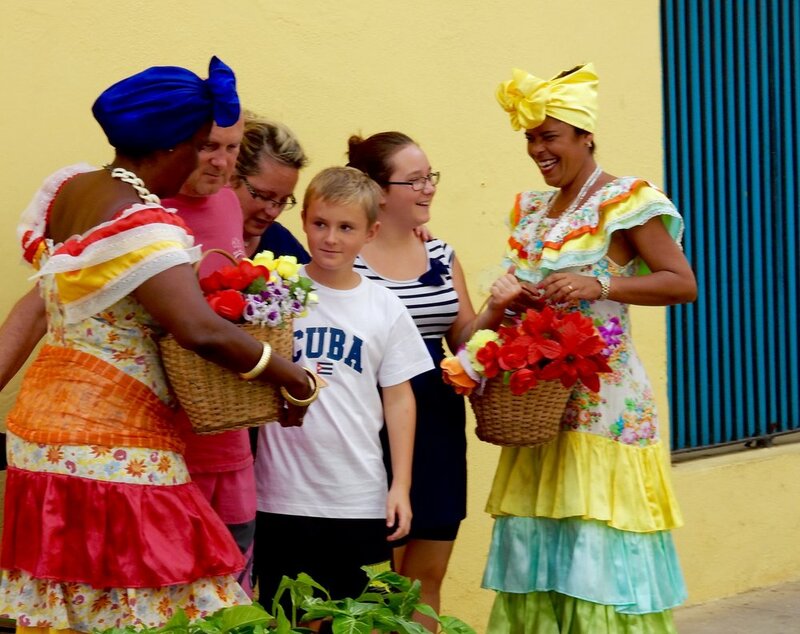 Small Groups – Our Intimate Cuba Adventures take small groups of 4 to 8 people to Cuba at a time. Each couple is assigned an English speaking tour guide as well as a Classic car and chauffeur. We offer cell phones for communication with your tour leader during off tour times. Our tours explore the beauty of Old Havana, the excitement of New Havana and the individuality of your passions. Our goal is to give you the most amazing and unforgettable, authentic Cuban experience. 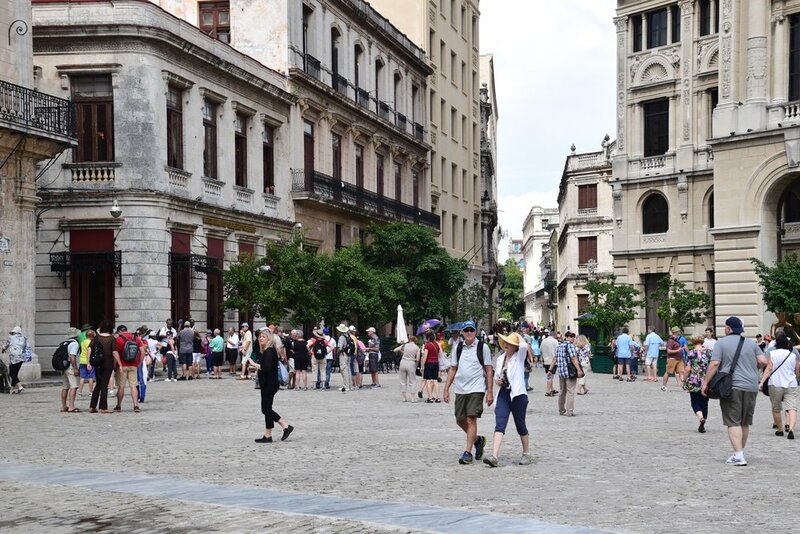 From the moment you reserve your Cuban Adventure, to the moment you depart Cuba and return to the U.S.A., my staff and I will help you create an amazing Intimate Cuba experience. Intimate Cuba will assist you with every step of the planning process. Together we can customize an adventure that is perfect for you and your family. I have personally vetted every apartment and villa we offer to insure the highest quality accommodations. Your safety and quality experience is our number one priority. All of our partners in Cuba are government licensed; they are local Cuban families that will make sure your stay is exceptional. When you visit Cuba with us you are supporting the entrepreneurial spirit of the Cuban people. Is a very simple and personal process. Please call me at 321-783-9004. I will personally go over all details of your Intimate Cuba adventure with you. Together we will create a schedule that fits your personal reasons to visit Cuba, is properly paced for you and your companion(s), and fits your budget. Requirements: A United States passport is required to travel legally from the United States and Cuba. Our trips are people to people, cultural adventures. Air Fare: You will be responsible for your air fare to and from Havana’s Jose Marti airport. Please check with us prior to purchasing your air fare to make sure you plane arrives in Cuba within the same time frame as the rest of our group. Suggested times are from 11 am to 4 pm on May 18, the same times apply for your departure to the United States. Wondering how to prepare for your trip to Cuba? Find some helpful tips below. Once you book your Intimate Cuba Tour Package, we’ll send you more information related to your specific itinerary. Prescription & over the counter medicines. Ensure that all medicine is in the original packaging or prescription bottle bearing your name. WHAT TO BRING BACK – Rum, cigars, and coffee are probably the most popular souvenirs! You may also enjoy artwork, fragrance, clothing, and CDs of Cuban music. There are no longer any special restrictions on bringing Cuban goods into the U.S., though you will be subject to the usual customs rules for certain goods like tobacco and alcohol. Find the latest information at the U.S. Customs and Border Patrol site. MONEY – While our tour packages are inclusive of most of your expenses, you will need some cash for miscellaneous daily expenses. U.S. credit and debit cards do not work in Cuba, so it is necessary to bring cash. Check the information provided with your itinerary for suggested amounts of cash. Your tour guide will assist you in exchanging for Cuban currency. CLOTHING – The type of clothing you bring will depend on your tour itinerary and the time of year of your visit, so be sure to check the specific information provided after booking your tour package. For all trips, you will want to bring a pair of walking shoes, a light rain jacket, sunglasses and an umbrella. PHONE & INTERNET – Some American cell phones will work in Cuba – Sprint and Verizon currently offer roaming service. Check with your carrier for available service and roaming rates for calls, text and data. You can also purchase from Cubacel either a SIM card to use in your unlocked, GSM-capable cell phone, or rent a phone for the duration of your stay– if you wish to go this route, let us know and we can arrange this for you upon arrival. Alternatively you can make calls using a pre-paid calling card at the public payphone. You will be able to access the internet, either through internet café or hotel business center, or at public WiFi hotspots. Internet tends to be much slower than in the U.S., and more expensive to access, so you’ll be able to check emails but don’t plan on downloading large files or streaming movies. ELECTRONICS & ELECTRICITY – Power supply in Cuba is either 110 volt or 240 volt electrical current, so it is important to check the voltage of your electronics before plugging them in to ensure compatibility. Many cell phones, laptops and cameras will work with both currents, but be aware that electronics that are 110 volt only will require a voltage converter before being plugged in or you will risk ruining the device. It is a good idea to bring a universal adaptor in case you encounter a non-compatible plug. GETTING AROUND – Transportation will be arranged for you – check the information provided with your booking for specifics on the planned transport. Your Tour Guide can help you arrange this transportation.